On the early morning of July 10, twelve local youth met at the Kenny Moses Building to begin an adventure of a lifetime, a five-day excursion to Lopez Island. Traditionally, the Snohomish people would travel to the San Juan Islands on fishing trips and set up camp on beautiful summer nights. 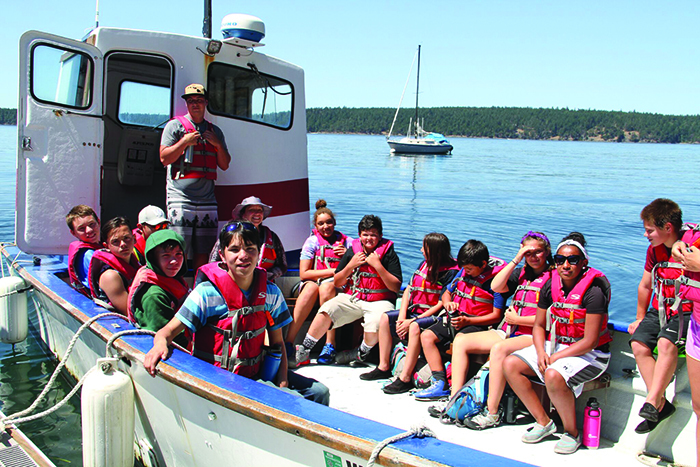 The Tulalip Natural Resources department set out to recreate that experience for the youth by debuting Fish Camp this summer, offered to kids between the ages of eleven and fourteen. 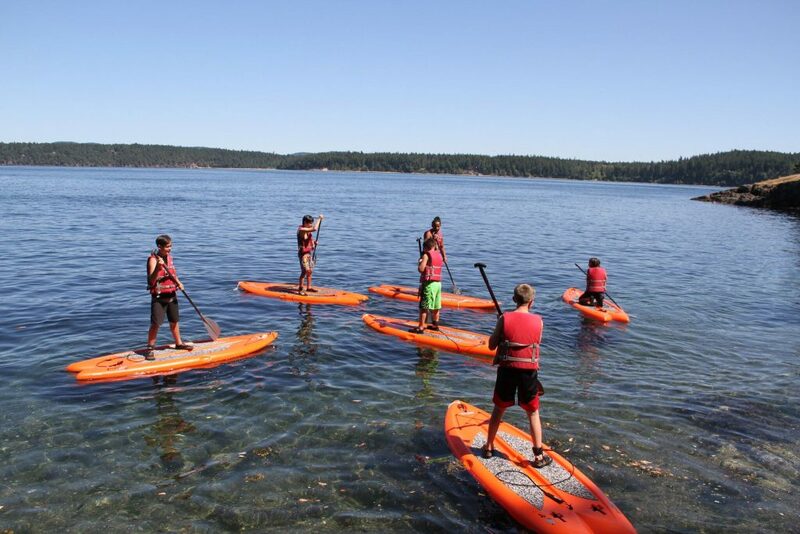 The first-of-its-kind summer camp takes kids on a journey across the Salish Sea to Lopez Island, one of the many San Juan islands that Tulalip ancestors used to seine-fish. The Point Elliot Treaty of 1855 guaranteed the Tribe’s right to fish in usual and accustomed areas and in 1975, the United States reaffirmed those rights to Northwest tribal members during the historic Boldt Decision. 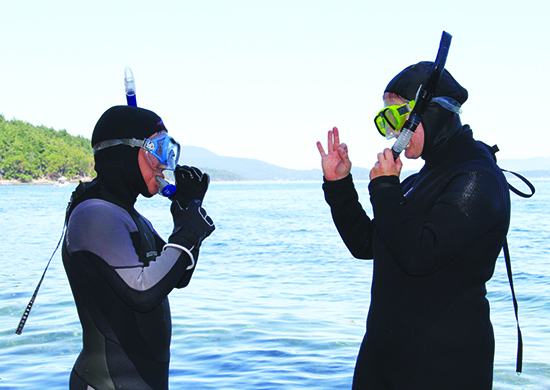 Fish Camp allows the youth to connect to the waters that provided plentiful resources for the Tribe and to learn about the history of their people, all while taking in the many breathtaking views that Lopez has to offer. 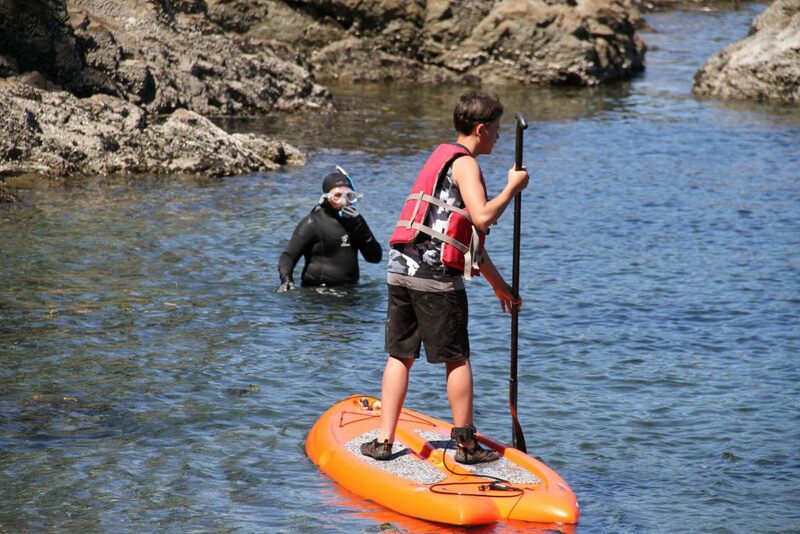 After arriving on the island, by way of a Washington State ferry, the kids set up camp at the opposite end of the island on a private beach overlooking Watmough Bay. Once settled in, the campers participated in the first evening circle of the week, getting to know each other a little better before calling it a night. The second day began bright and early with a two-hour clam dig followed by cedar-basket weaving in the afternoon, led by the Rediscovery Program’s Virginia Jones. Once the campers completed their baskets, they were joined by a number of guests including tribal member, Tony Hatch. He helped the kid’s setup their very own clambake, using the clams the campers dug in the morning as well as fresh shellfish caught traditionally with seine nets. Before wrapping up an exciting day full of cultural events, the campers were treated to traditional Tulalip stories by Lushootseed Language Teacher, Michelle Myles, who is also a parent of camper, Jacynta Myles-Gilford. On their third day at Lopez, the campers joined Natural Resources for a hike and a history lesson at Iceberg Point to kick their day off. 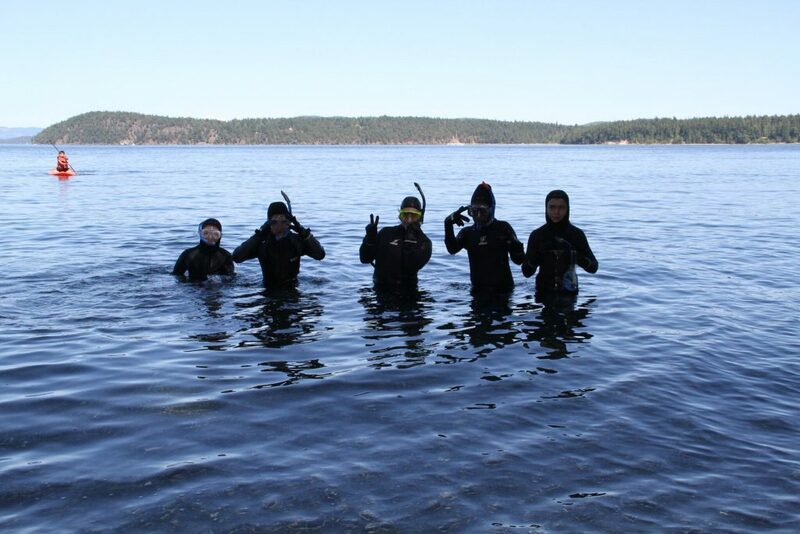 The crew then journeyed to Mackaye Harbor where they learned about different aquatic animals by Tulalip Shellfish Biologist Max Lundquist, who dove into the waters to retrieve a number of crabs and starfish. 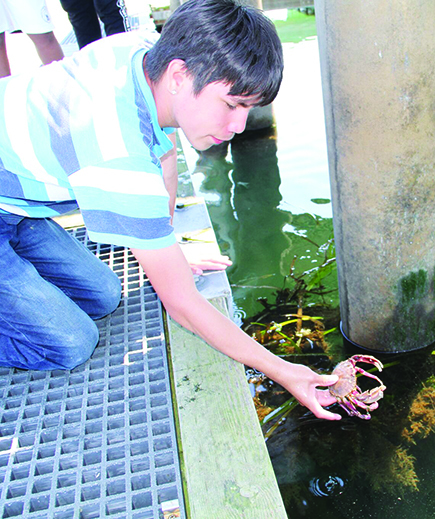 The kids got an up-close look at the sea creatures before releasing them back into the harbor. 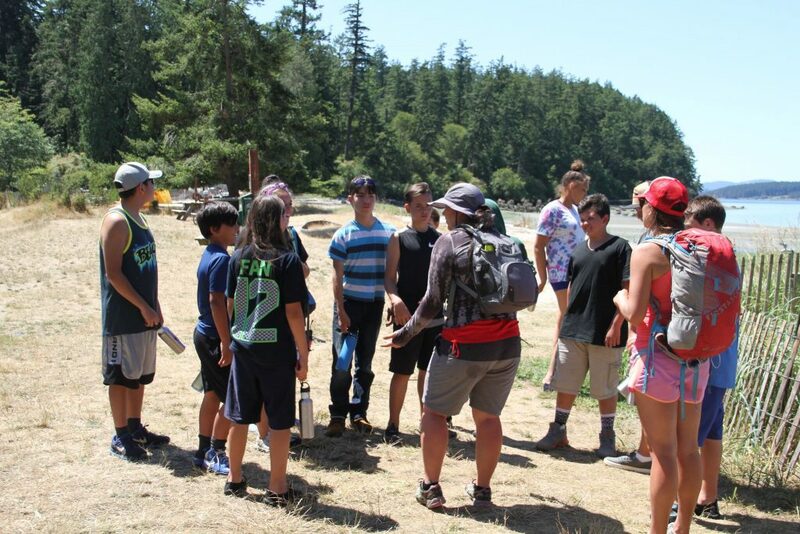 A few months ago, the Natural Resources team reached out to Camp Canoe, a French language camp located on a private island off of Lopez, to see if they were willing to host Fish Camp. Due to prior engagements, Camp Canoe was unable to hold Tulalip’s camp on their island as they were hosting their own camp the same week. Camp Canoe, however, graciously offered the fish campers an afternoon of snorkeling and paddle boarding off the coast of their island, where speed boats, sailboats and ferries could be seen passing nearby. The last days of camp included a morning of kayaking and an evening of free time where the campers got to enjoy each other’s company before leaving Lopez Island. 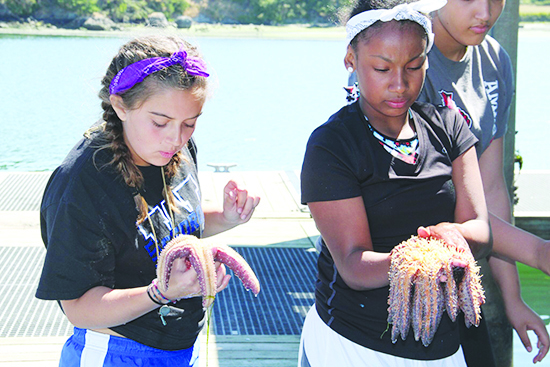 Many of the youth expressed that they didn’t know any of their fellow campers before the start of Fish Camp, but were happy to create unforgettable memories together while learning about marine life in local, traditional waters. 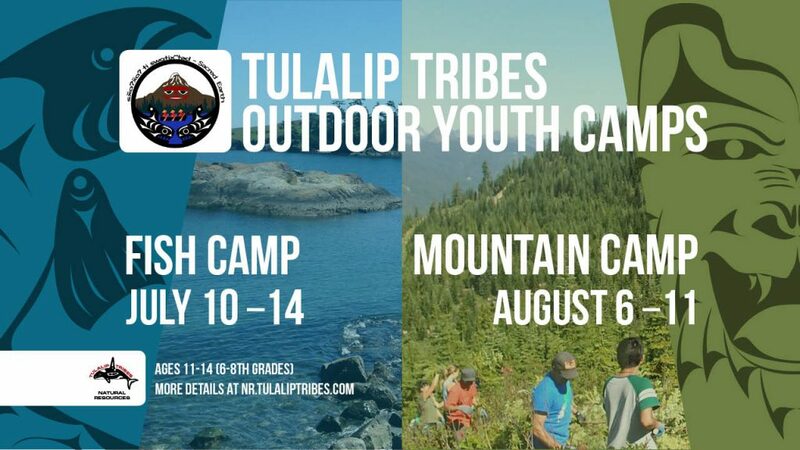 Natural Resources will host the annual Tulalip Tribes Youth Mountain Camp on August 6-11, and look forward to hosting many more Fish Camps in years to come. For more information, please contact the Tulalip Tribes Natural Resources Department at (360) 716-4617.